Streamline your lab operations with a single, secure data system that combines chromatography and mass spectrometry into one software platform. 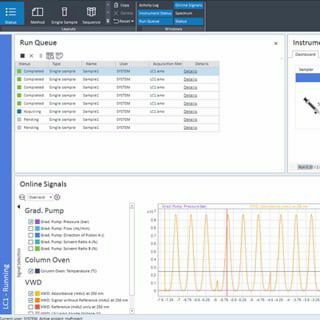 Control your Agilent GC, LC, single quadrupole GC/MS, LC/MS instruments as well as other vendors’ instruments in the lab, and save substantial time managing software and training staff. New tools in OpenLab CDS provide time-saving steps in the analysis, interpretation, and reporting workflows, so you can identify key information and improve turnaround time. Optional built-in technical controls provide peace of mind for analytical labs that need the highest level of data integrity.